If you are like me, you were devastated when the thrillingly soapy nighttime drama “Deception” was canceled by NBC — with a humdinger of a cliffhanger. 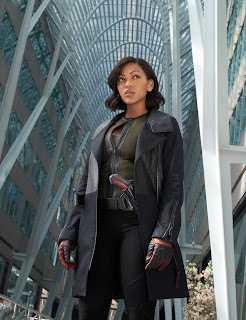 This was also the first time I had seen actress Meagan Good performing in anything, and I was impressed. So I was thrilled to hear that she has scored the role of the female lead (Lara Vega) on Fox’s new fall series “Minority Report,” which is based on the 2002 film of the same name. 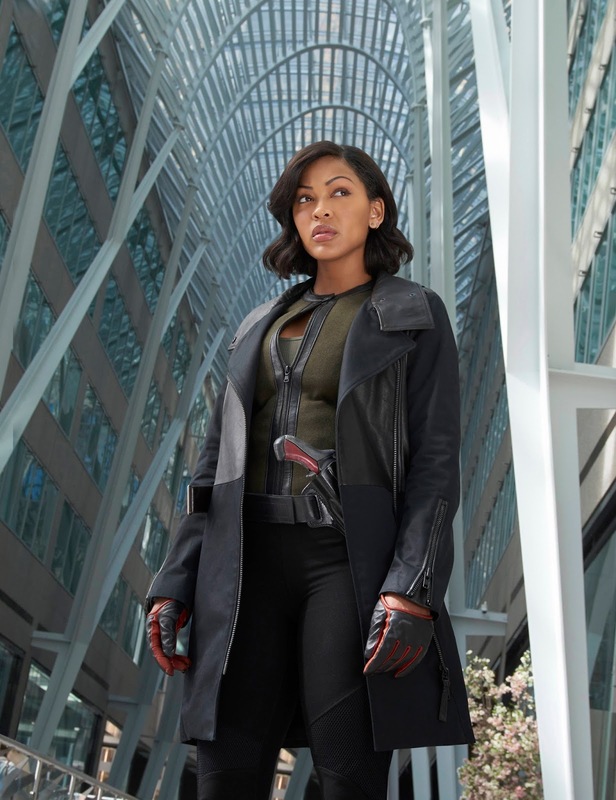 I spoke with Meagan recently, and she’s super excited for the sci-fi crime drama’s debut on Sept. 21. She told me a bit about the show when we caught up. Meagan Good: It’s a dream come true, really. For me, it’s a dream character. She’s everything that I want to be doing. We’re all fans of the movie, and we were like: “Oh my God. This show is getting produced by Steven Spielberg.” Who, you know, is taking even more of a role since he saw the pilot. We know that he’s happy, and even just knowing that Steven Spielberg had to sign off on you and that he thinks you are a good actress is a huge thing. CE: “Minority Report,” like the movie, takes place in the near future, with all these awesome special effects and technology. Visually, is the show on par with the movie? MG: Oh, yes, it definitely is. If you remember from the movie, what Tom Cruise does with his hands on that virtual-reality screen became what we do now on our computers and on our cellphones. It pioneered some of that stuff. It’s really cool because we have a lot of new stuff in the show, which is stuff that is actually being created. On the show, we have a selfie drone that comes off your arm as a watch and drones into the air and takes selfie pictures for you. And that’s something actually being made right now. It’s just like the world is very futuristic. It’s crazy, whatever your mind can think of, then it can be done. It’s exciting. But also for us when we’re filming, we have to imagine it because we do a lot of work with a green-screen. So, a lot of what we are reacting to is not really there. CE: This kind of role must be so much fun to play. MG: It is a lot of fun because it’s what all of us really want to be doing. And for me the action part of it is amazing. That has been my priority for the past couple of years: I just want to do action. And now I’m getting a chance to do that. We all get along; everyone loves each other, and we love spending time together. And we’re all in it together. It’s a really good set to be on. CE: What else appealed to you about the show, and your character, that made you want to be a part of the production? MG: Well, off the top, I get to be on “Minority Report,” and I’m getting paid to do it. I was thrilled to find out that Lara, the main cop character, is now a woman. She is tough and is willing to do whatever it takes to see justice is served. That was really appealing to me. Her father died when she was very young. He was a cop. He was a part of the Pre-Crime Unit. It’s what she’s always wanted to do. And it’s also her legacy and his legacy. But now, Pre-Crime has been abolished, and Lara hasn’t had the chance to be a part of it, but she still is like: “OK, I’m going to use what I do have. And I’m going to be the best cop I can be.” That’s really what drives her purpose. But she’s also willing to go off-road and to go rogue and do whatever it takes. She ultimately teams up with Dash (played by Stark Sands), who’s a legendary Pre-Cog who’s completely illegal and shouldn’t even be in the city, and he has the ability to have some of that insight into what murders might be happening, when they’re going to be happening, and having the real chance to try to stop it before it happens. This is what she lives for. That’s what really drew me to her. Just her passion and the fact that she is living her purpose every day, and it drives her. CE: When “Minority Report” opens, where does it start? What’s going on? MG: The Pre-Cogs — Agatha, Arthur and Dash — were sent away at the end of the movie to an undisclosed island where nobody has access to them. Nobody can abuse them or take advantage of them anymore. It’s 15 years later, and we meet Dash as he’s come back into the city because Arthur has come back into the city. Dash can’t find Arthur, and he is being plagued by the trauma of still seeing visions that he can’t stop, whether he’s a part of Pre-Crime or not. These are visions all of them are still having, but he is the most sensitive one where he actually physically feels the violent pain that the person is feeling when he is being murdered. Dash wants to stop this, but he doesn’t have any police training. He has spent the majority of his life either being tested or in a milk bath half-unconscious. He is really learning this world for the first time. When he meets me and sees my passion and my desire, he wants to make the world a better place. He doesn’t fully come to me, but he tries to give me little hints and stuff. The second my character, Lara, realizes who he is, she’s on him. She’s like, “You’re going to help me.” At first he doesn’t want to because he doesn’t want to be taken advantage of again and potentially arrested or abused. We form an unlikely bond, and we go at it together just the two of us, because what we are doing is illegal. CE: Tell me about the other characters and how they fit into the narrative. MG: Wilmer Valderrama plays my boss, Will Blake. He’s not supposed to know what we are doing. And there’s this other relationship there: You’re not sure if Lara and Will might have been together in the past. And then you’ll get introduced to Arthur, who is more of the dark twin, who is completely unemotionally connected to what he sees. He tends to see a lot more than Dash does. Li Jun Li plays my right-hand girl, Akeela. She pools all of the information, and she’s on top of everything. She’s the human encyclopedia. It’s a very cool world. What you can expect from the show is that something is happening, and we need to figure it out beforehand. Maybe we will, maybe we won’t. Maybe it’s a Minority Report. Maybe what’s happening isn’t what we think is happening, and we’ll make a mistake. You just never know. But the concept is fun and suspenseful. It’s a little bit dark, but the world is very bright. It’s not apocalyptic, where everybody is dying and it’s sad. It’s actually a very bright and happy 2065. But dark things are happening in it. CE: What is the format of the show? Do you solve a crime at the end of each show, like close-ended episodes, or is it suspense from show to show? MG: It is going to be suspense from show to show. CE: What are your hopes for the show? You want it to be successful, of course, but what else? MG: Yeah, we obviously want the show to do incredible. We want to see these characters continue to grow and for people to grow with them, for people to really fall in love with them. I guess that’s the biggest thing: We just want it to do well, and we want to live with these characters — because everyone is so happy with who they get to play — for as long as we can.